Kiera Cupid is a senior studying economics with a minor in business administration at Towson University, where she also works as a student intern for the Regional Economic Studies Institute (RESI). She gains real-world experience by conducting research, extracting and analyzing data, and reviewing client proposals. RESI provides an array of economic and policy analysis services to better serve Maryland and our region. During her time with RESI, Kiera has worked on a number of projects she considers rewarding. “The most interesting project that I have worked on was for Mallows Bay, a local park in Charles County. The project determined the economic impact of transforming the area into a national marine sanctuary. I was given the opportunity to assist in conducting interviews with stakeholders in the area to add more relatable accounts to the report,” said Kiera. 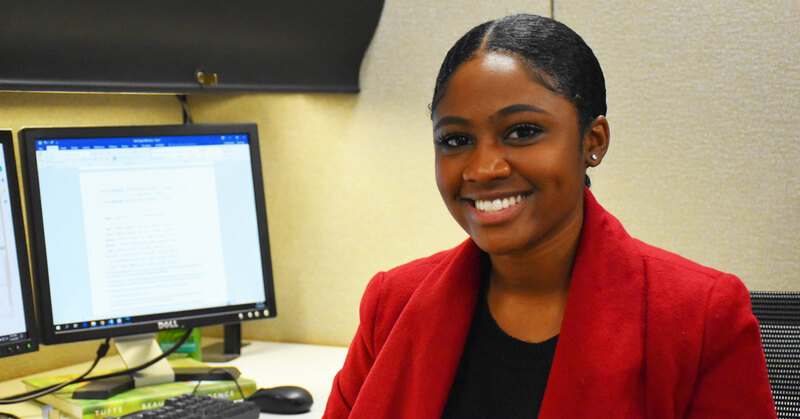 After completing her degree, Kiera plans to pursue amaster’s degree in business administration and hopes to work for a large financial institution once finished. If your life was a movie, what would the theme song be? Ain’t It Fun by Paramore. I heard this song when I was moving into my college dorm and leaving my family for the first time. It reminds me of my college journey and entering adulthood. What would your superhero power be? Time travel—aving the ability to see the future or the past and experience a new way of life. What is a fun fact most people don’t know about you? Most people don’t know that I am a first generation American and my family is originally from Trinidad. 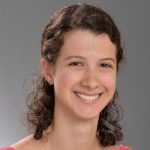 Ellen Bast is a senior research associate at the Regional Economic Studies Institute. She performs methodology development, survey construction and analysis, primary and secondary data collection and analysis, and technical writing and editing. Ellen's posts focus on the economics of current events and are influenced by her interests in the arts (especially ballet!) and the goings-on in Greater Baltimore. Sign up to receive blog post notifications and our monthly e-newsletter. The Division of Strategic Partnerships & Applied Research advances Towson University’s role as an economic engine. One of six administrative divisions at TU, the Division opens the doors of the University to solve pressing problems, further community collaboration, expand learning opportunities, and generate economic development. Leveraging the combined expertise of a 70+ person team, the Division strengthens Maryland’s communities and addresses opportunities and challenges.